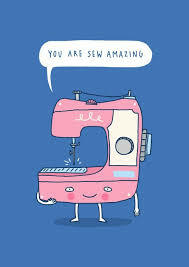 My Charmed Cabin Life: AMAZING sewing DEALS online! Quilt shop quality fabric can cost on average $12/yard. For awesome cuddle or minky fabric - $20/yard. It adds up. So I've been doing some searching online and found a few sites that are offering deals online and I thought I would share them with you. Remember these places have new deals monthly, and some daily. So feel free to check them out daily after this blog post. I doubt I could keep up with the daily deals. 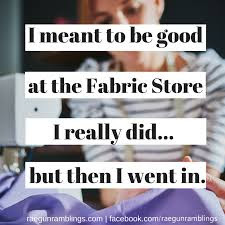 And you don't even have to go to the fabric store...stay home...in your jammies! There is no way I could tell you about all of the deals, but I'm going to tell you about my favorites! Hopefully, we have the same favorites..
Stay in your jammies, it's okay. You don't have to drive anywhere for these deals. They are all online. Simply click the links to get the deals in full! Remember I'm posting my favorites so this is not everything they have on sale. The first find is Sewing Machines Plus.com LLC (Affiliate Link). RIGHT NOW is their Memorial Day Sale! It ends May 31st. Click on the link and check out their amazing deals. 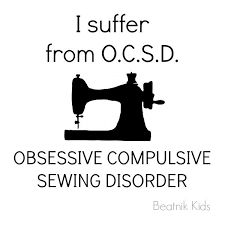 Currently they have a 10% off sewing machines and 30% off other products (needles, thread), 25% off bobbins, and 15% off scissors! They have items for sergers, LAQ (Long Arm Quilters), embroidery, cases, everything related to sewing...including professional grade dress forms. My two favorite threads are on sale for 30% off!!!! I'm currently watching a few items on their webpage. I'm one of those who as I see items, adds it to the cart to save it and then decide once I'm done viewing the page, which items I will buy. Don't forget to apply the promotional code at checkout. I do recommend viewing the entire front page first and making a note of the codes as your eyes light up with excitement on these deals. Second amazing deal is a local Texas business that I happened upon, ThreadArt (Affiliate Link). If you do embroidery, this is the place for you! RIGHT NOW - 600M of thread is less than $2.00! Use the code SUNFUN for an extra 10% off your order. They do have more than just thread...rhinestones, vinyl, quilting fabric, A CLEARANCE SECTION, ribbon, and sequins. Not into embroidery, they even have bags you can buy and they will do embroidery on it for you! This awesome small local business is located in Tomball, Texas... #promotesmallbusiness peeps! Want to promote another small business? Here's one in Buda, Texas! Fat Quarter Shop (Affiliate Link). I may have saved the best for last. 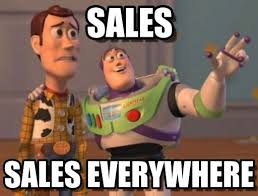 This website has FLASH SALES. The deal is gone in 24 hours. If you like it, you better buy it. This website is easy to navigate and so much fun. Every time I'm on the the page, I find a new amazing deal. 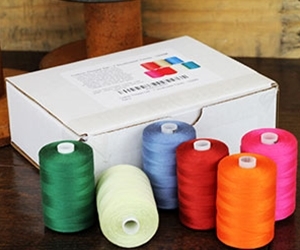 They are also having a 10% off sale on ALL THREAD. I think this is a sign, since all sites are having a sale!!! Time to STOCK UP! They have precuts, quilt kits, and block of the month clubs. 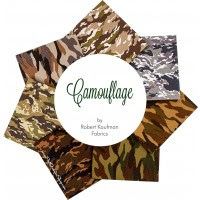 Their new fabric selections are photgraphed and uploaded to the website and they look amazing. My favorites are Firelight, Loved to Pieces, and Rustic Romance. I just love those colors. One of their new products is the Spelling Bee Book by Lori Holt. You have to check it out. It has several quilt patterns included in the book, along with the alphabet quilt. The top deal that struck my fancy was the Nesting Box! This is a Limited Edition Mystery Box with 11 items ranging from fabric to notion. It's regularly $120.00 but it's on sale now for $74.98! I think I need a late Mother's Day gift. Fat quarter bundle for $13.58! I know this will keep you busy online for a while...I know I will be! Think of all the amazing deals! After you check out these amazing deals online and more, I'm interested to know which deal you found to be your favorite! Let me know in the comments below. Great! I hope you find an awesome deal! YOU HAVE TO GO HERE!